Fallout 4 buyers who missed out on the Collector’s Edition will not get another chance. Fallout 4’s extra-fancy special edition, which includes a Pip-Boy smartphone mount, is sold out everywhere – despite repeated stockings. The demand, and some retailers’ inability to cope with it, has left some fans angry: why won’t Bethesda take their money? The answer is: it wants to, but just can’t make any more Pip-Boys. Speaking to Gamespot, Bethesda boss Pete Hines said the publisher re-ordered a couple of times, but the manufacturers simply can not fit another product run into their schedules. “We reached a point where we’d go back to the factories and they were like, ‘guys, this is it, sorry. This is as long as we can run the lines and as many of them as we can make,'” Hines said. 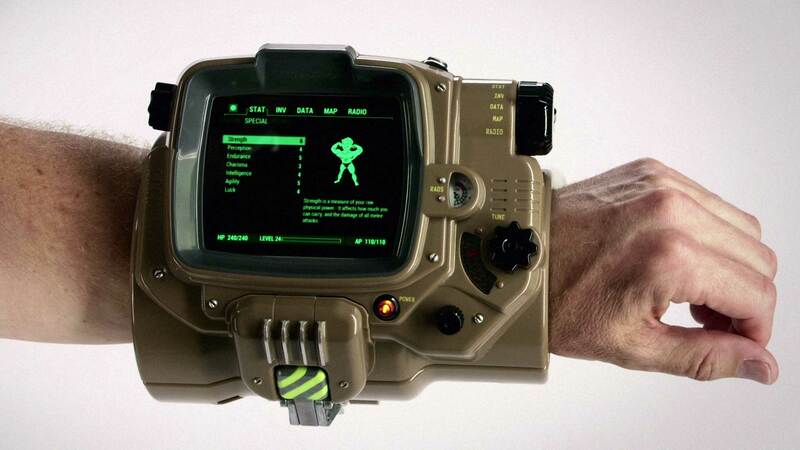 The executive said the Pip-Boy Editions are still in production right now, but the publisher has sold through every single one – despite potentially ordering more than any Bethesda limited edition before. If you missed out and you’re still smarting, please do click through the source link above and read Hines’s comments in their full context. Fallout 4 arrives on PC, PS4 and Xbox One on November 10, when the vast majority of us will probably ignore the second screen functions altogether.